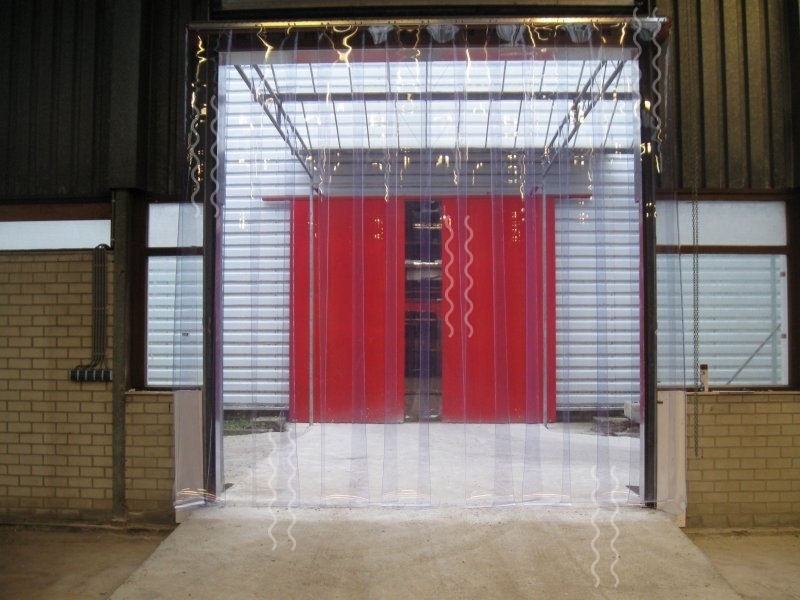 Strip curtains or strip doors, are made of crystal-clear transparent PVC strips and have a excellent resistance to damage. 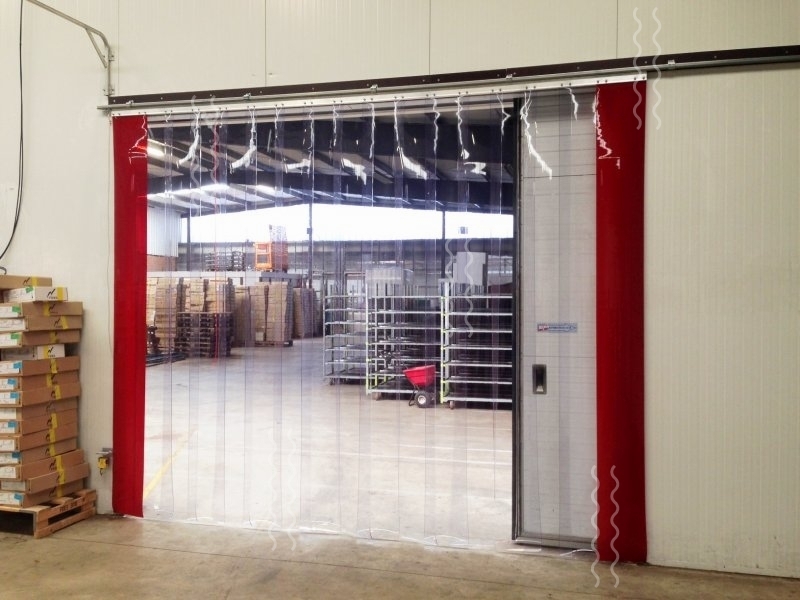 Strip curtains consist of a mounting rail with flexible, transparent PVC strips of 2, 3 or 4 mm thick and 200, 300 or 400 mm wide. 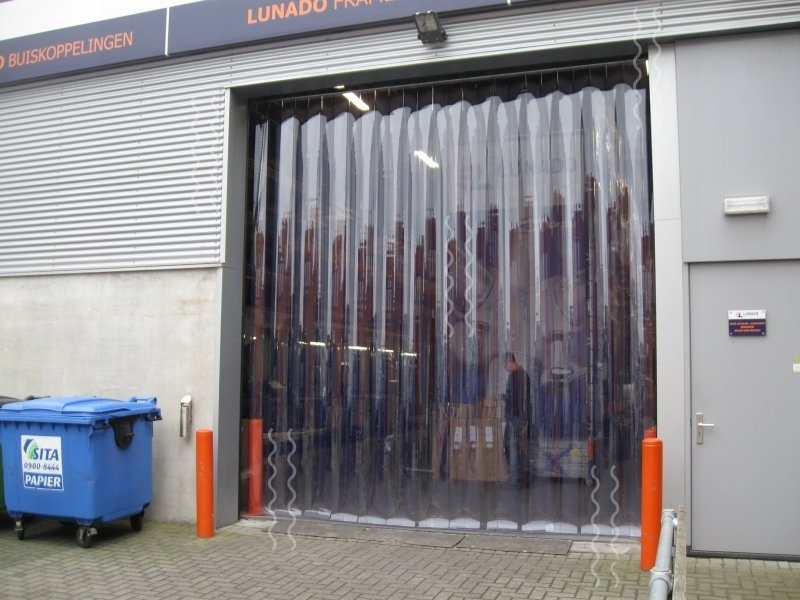 Openings which are not driven through can be screened off with transparent PVC sheets, which are available in widths up to 2200 mm and thicknesses up to 10 mm. 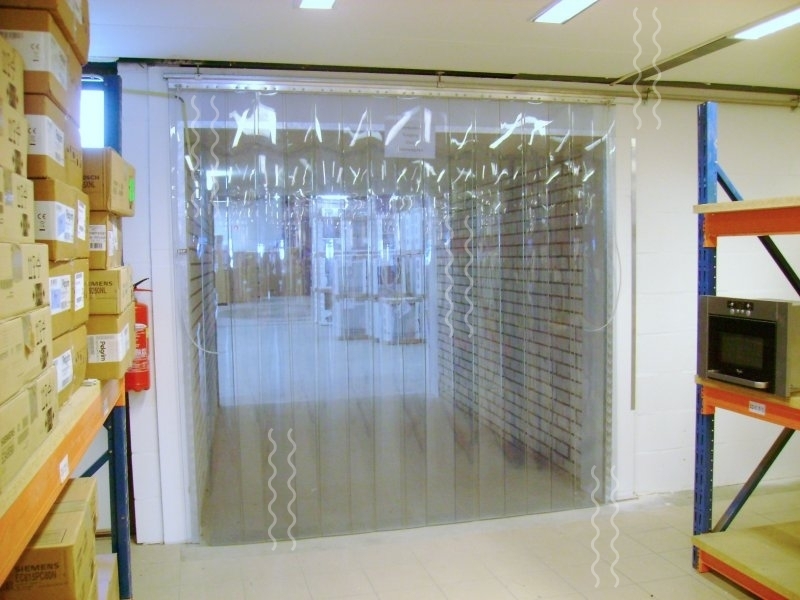 The strips (and sheets) overlap concavely for optimum sealing. 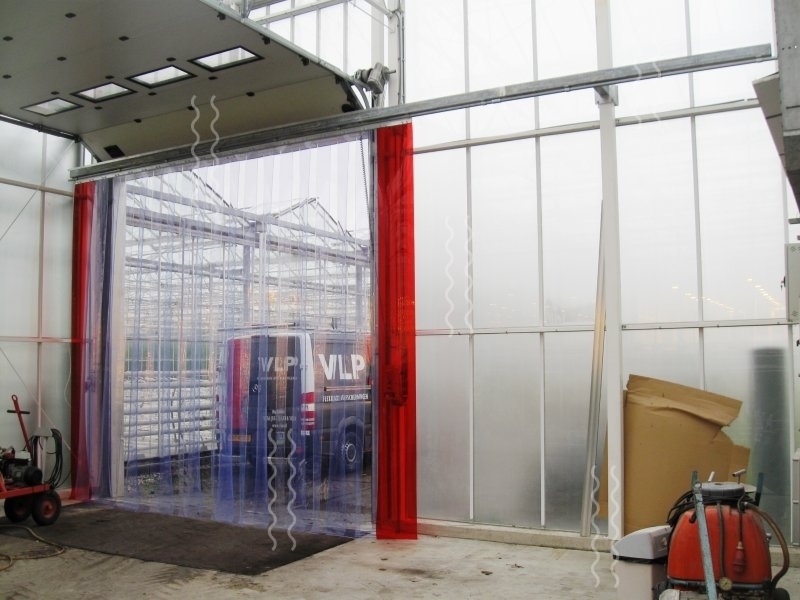 The flexible, transparent strip curtain allows (safely) driving through without stopping. 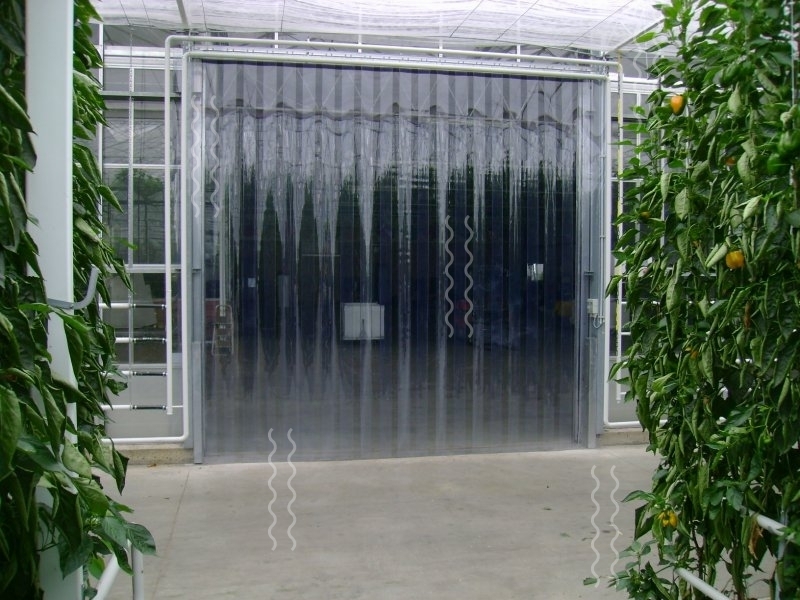 Strip doors prevents draughts, reduce heat and cold losses and deter birds and insects from your premises. 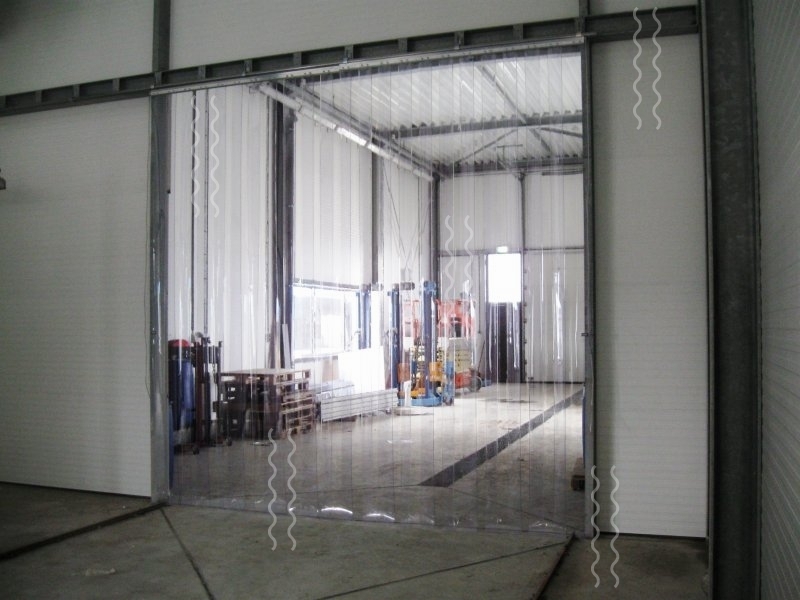 The Strip doors improveworking conditions and compliance with hygienic requirements such as HACCP and Eurep GAP. 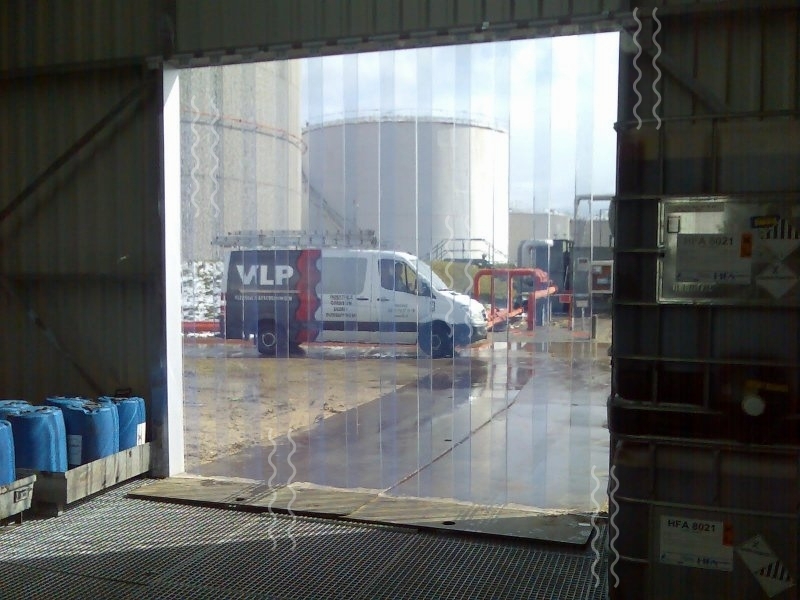 VLP Strip doors are also sound-insulating and therefore ideal in an environment containing noisy machinery and installations. The suspension system is entirely adapted to the requirements of the intended use. 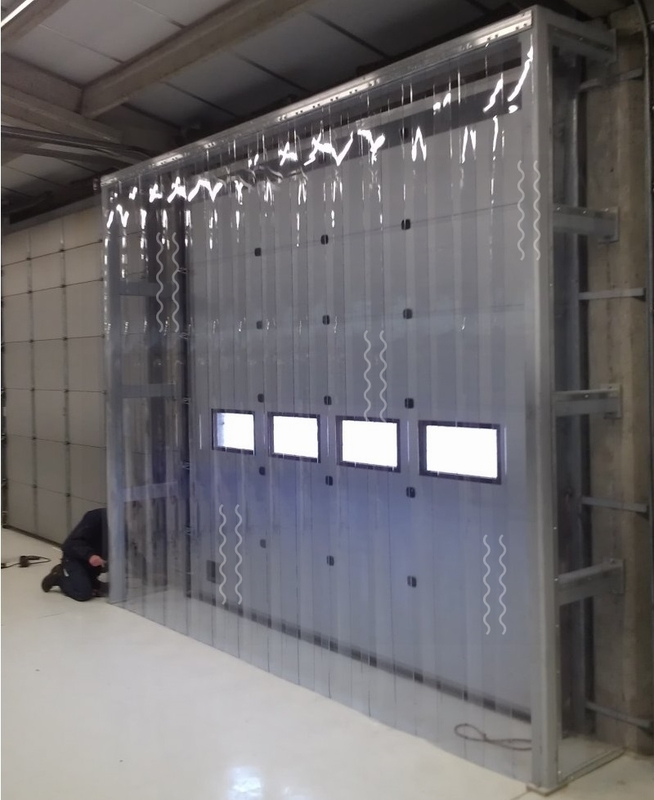 Fixed installation in a standing or mobile rack, see also Welding curtains.